Legends in the Industrial music world, EN ESCH and GUENTER SCHULZ came together in their native Germany in the 1980’s and have worked together ever since.Frontman, guitarist, programmer and drummer En Esch worked with Sascha Konietzko in KMFDM since 1984. With many illustre collaborators, a whole lotta sampling technology, drum machines, guitars and vocal processing, they laid the foundations for the industrial rock scene with fellow colleagues such as Skinny Puppy, Ministry, Pigface, Die Krupps and many more. 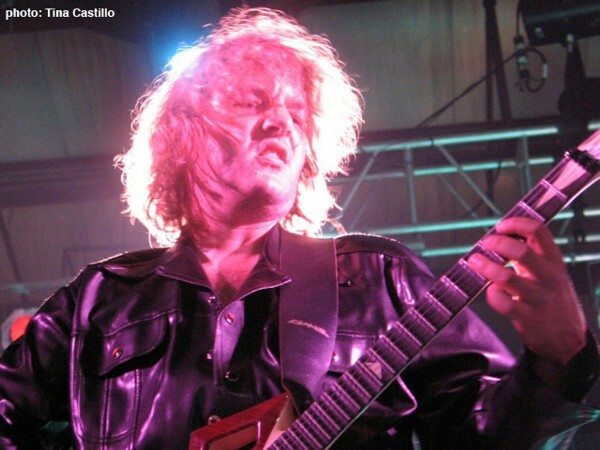 Günter Schulz joined in 1990 for KMFDM's release "Naive" with a fierce understanding of the guitar, introducing some of the most remarkable and unmistakeable guitar riffs of his time. ESCH and SCHULZ left the groundbreaking industrial powerhouse in 1999 forming their own project, SLICK IDIOT. JUNE 26th, 2011: SLICK IDIOT track featured in HBO's "TRUE BLOOD"
On the 37th episode of HBO's acclaimed show True Blood, entitled "She's Not There," a remix of the Slick Idiot track XCESS (originally released in 2001 on the Dicknity album by Slick Idiot) was used in a scene featuring the local vampire club. The track played during the scene was a remix by Christoph Schneider of Rammstein. The episode featuring the Christoph Schneider remix aired Sunday, June 26th.